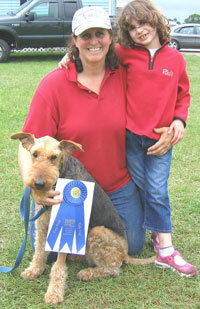 At Delmyra we strive to provide continuing education for the pet owner and their pets. 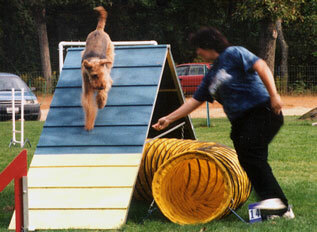 Our instructors represent the areas’ finest in dog training talent, as well as experience. Training classes are for the ENTIRE family. It is just as important for children to learn how to handle your pet as it is for you to know the commands. The entire family is welcome to participate in training. 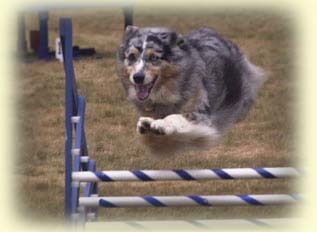 Conformation handling classes are also available on a regular basis. 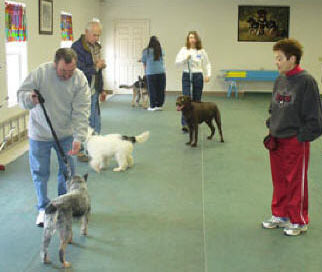 Confirmation Handling Drop-In Session This is an ongoing class held Wednesday nights for handlers preparing for the breed show ring. Private Lessons and Consultations work privately on specific issues (i.e., noise phobias, shyness, etc. ), conduct behavioral evaluations, or provide personalized training. For more information or to schedule an appointment, call Delmyra for more information 401.294.3247.